KIEV, March 03, /ITAR-TASS/. No referendum in Crimea (autonomy within Ukraine) is possible, the Ukrainian Central Election Commission said on Monday, March 3. “Under effective Ukrainian legislation no local referendum may be called, prepared and conducted,” the commission’s press service said. No effective Ukrainian law sets the procedure for conducting local referendums, it said. “Therefore, there is no mechanism for exercising the right of citizens to make decisions of local importance by conducting a local referendum. Under current regulations, any local referendum would be impossible,” the Central Election Commission said. Article 92 of the Ukrainian Constitution says that “issues of organising and conducting elections and referendums are regulated exclusively by Ukrainian laws” and the Law “On All-Ukrainian and Local Referendums,” which in 1991 regulated issues of initiating and conducting local referendums, is no longer valid. 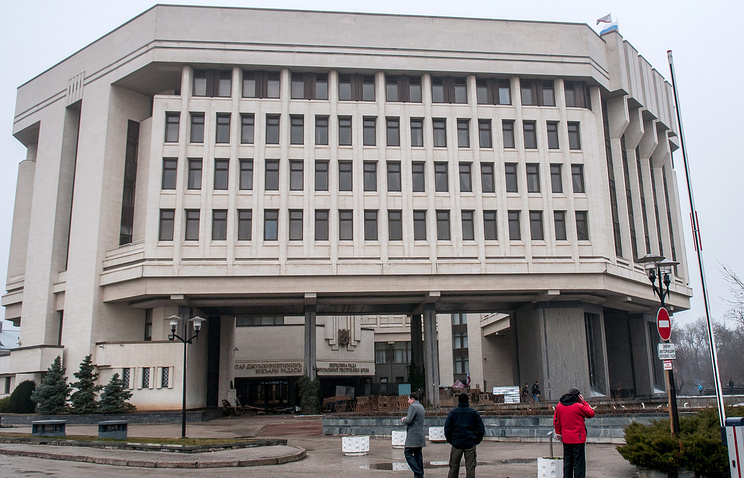 At the same time, the Crimean parliament on Monday officially changed the date of the referendum on the autonomy’s status and powers from May 25 to March 30. He stressed that the parliament was the only legitimate body of power in Crimea. The Crimean parliament presidium earlier made the decision to hold a referendum on the status of the autonomy and expansion of its powers. “Following the fundamental principles of democracy, the presidium of the Crimean parliament believes that the only possible way out of the current situation is to apply the principles of direct rule of the people. We are convinced that only a referendum on the improvement of the status of the autonomy and expansion of its powers will allow the people of Crimea to determine the future of the autonomy on their own without external pressure or diktat,” Korniychuk said.